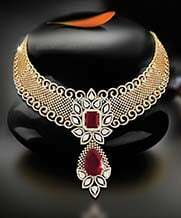 Fantasize the Diva in You Wearing the Precious Necklace! 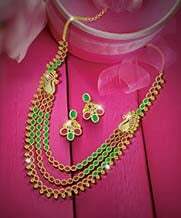 Arouse, awaken and fantasize the Diva in you by flattering yourself with the most luxurious, exclusive, Charismatic designs of necklaces at Joyalukkas. 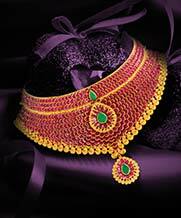 We ensure you flaunt your neckline with the most enigmatic jewellery custom made for you. 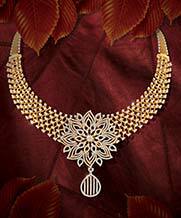 Joyalukkas necklace collection will channelize your senses to your hidden beauty. Once you engulf yourself in these neck pieces, you will never want to take it off. 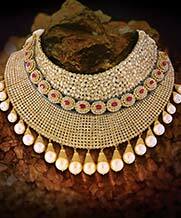 Set of finest stones are used to add the superfluous glitter and aroma of luxury to the necklaces. 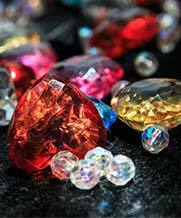 These stones are carved by best people in the industry so that you get a flawless look. 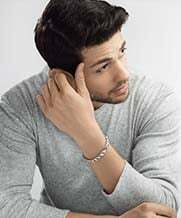 Joyalukkas all-new collection is flooded with designer necklaces embedded with shimmering and carefully carved stones giving hue of rich lifestyle that our customers are quite fond of. It makes sure to set fire on the next party you visit and make your hosts jealous of rich sophisticated taste. Various designs and varieties are available that includes choker,collar necklaces,Princess Necklaces, and Matinee Necklaces. 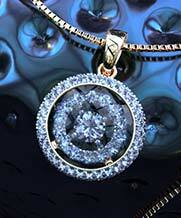 Imagine dawning yourself in a hanging necklace laced with connotations of precious stones. 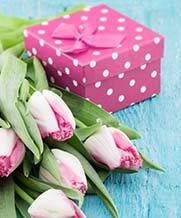 These necklaces are a perfect gift for your daughter’s wedding, your wife’s anniversary. The lushness of these necklaces makes them something you can hand down to your next generation with pride. 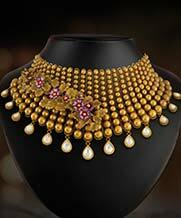 The Kundan Necklaces are the ones to drive you down the memory lane making you nostalgic for all the good reasons. 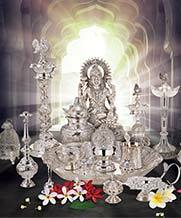 Jewellery designing being our forte never fails to woo our customers.